Today I wanted to show you guys how to apply the totally amazing *New* Jamberry Tru Shine Gel System along with your nail wraps! 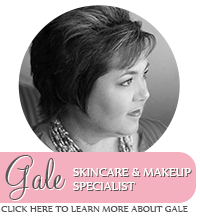 I am crazy about this super easy - to - use gel system!!! If you struggled with your Jam wraps in the past, this is the answer to your frustration. There will be no more lifting or rough edges - I promise. This really is a game changer to the world of Jamberry Nail Wraps! This will be a 2-Part tutorial, making it one just seemed to be too long. I begin by showing you the removal process of the gel system and walk you through the ease of prepping your nails for a new Jamicure. I would LOVE to have you join my team as well - The nice thing about Jamberry is, you can simply recieve the 30% Discount for yourself and not have to sell anything to anyone. Or if you are looking to make more money, you can do online and in-home parties. Isn't that great?! @#$%^&* I think this is a GREAT company to be a part of... Let me know if you have any questions, you can email me at: thehappystamper1@gmail.com or leave a comment here below this post.